"For those of us who work out, something I can now say with a semi-straight face after 2017's mammoth bike ride, slimmer cut shirts like these can be very flattering indeed. They have an lovely natural stretch to keep you comfortable, and our non-iron finish to put a big cheesy grin on your face." Perfect sizing and feel of material. 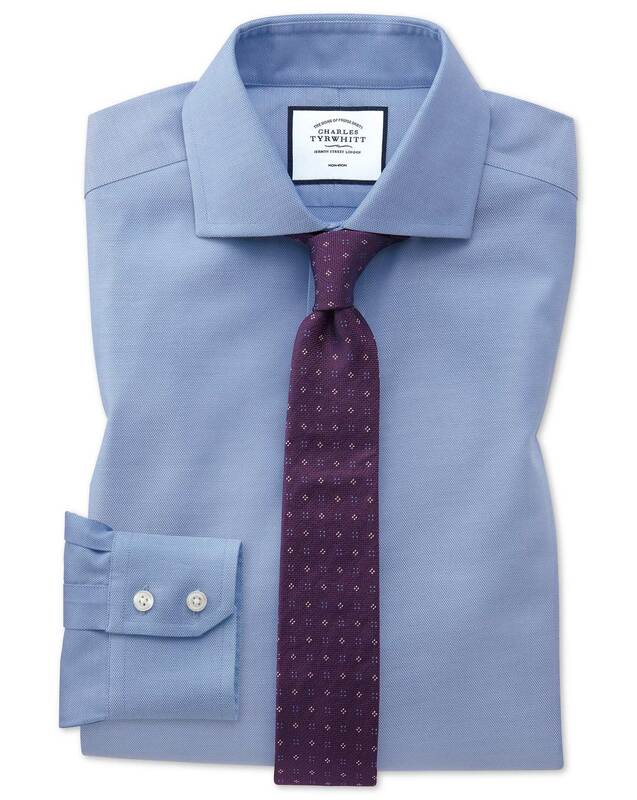 I like the cutaway collars, they sit well for someone who doesn't wear ties often. As always, an excellent product.